E.ON – Hands Off Our Homes! Complaints against energy companies have reached a record high as people refuse to tolerate rip-off bills and bullying from the Big 6 energy profiteers. Yet, for residents on Myatts Field North estate in south London, there is no escape from E.ON who have a monopoly on the estate’s heating and hot water under a Private Finance Initiative. Residents on the estate are holding a day of action against the PFI ‘regeneration’ scheme under the banner ‘Our Health, Our Lives, Our Homes’ to highlight their significant concerns with the project. Fuel Poverty Action will be supporting their action. Join us on Friday 25th July at 10am, at Bramah Green Community Centre, Myatts Field North, SW9 7RG. The PFI scheme has seen the neighbourhood transformed with local residents having little to no say in the process. The undemocratic nature of the whole scheme is topped off by the denial to residents of any control over their own energy supplies. Residents are locked in to buying their heating and hot water from E.ON for the next 45 years (the PFI scheme contract is for 25 years, but Lambeth council have granted E.ON a 45 year lease on the estate’s energy centre). This means that taking collective action against fuel poverty and profiteering energy companies by setting up community energy projects is not an option for the residents. Even switching, a favourite of the government, to an energy company that is slightly greener or cheaper is not possible for residents struggling to pay their bills. Households on the estate, many of whom are on low incomes, will be forced to pay whatever rip-off rates E.ON chooses to set each year. 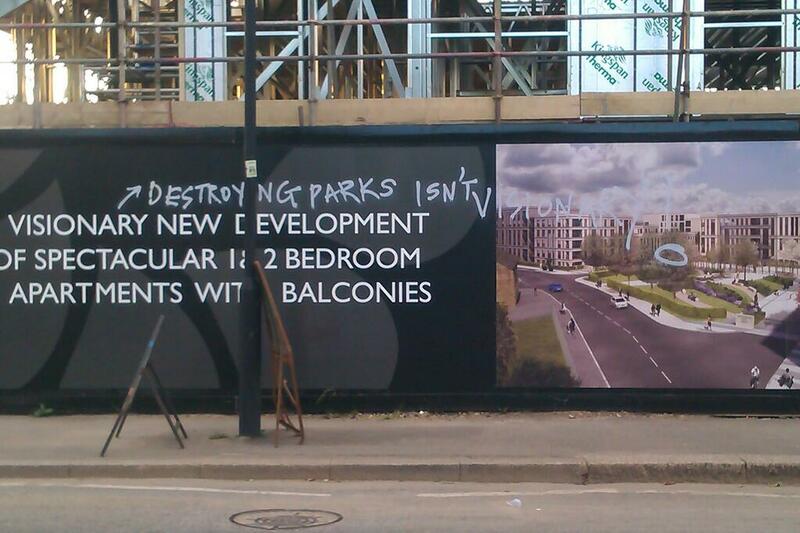 Council tenants on the estate moving into the new homes have also seen their rents and council tax increase. This will make it even harder to keep homes healthy and warm, as residents will feel yet another pressure on their incomes. 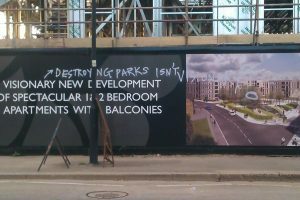 Rising rents, energy monopoly, gentrification, evictions of leaseholders, and loss of green space caused by the PFI will have significant impacts on the quality of life for the residents as their control over their lives and community is further reduced. We want E.ON, and all other profiteers, out of our communities! There will be a public meeting for local residents, other estate groups and the general public on Wednesday 23rd July at Bramah Green Community Centre. Next PostNext Shian housing – new boilers now, end fuel poverty!